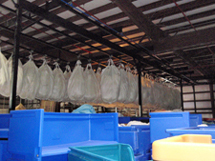 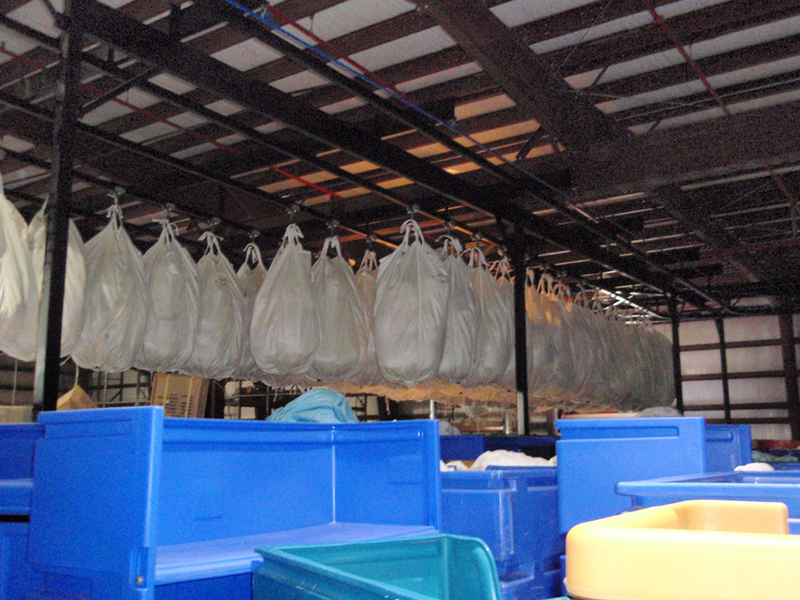 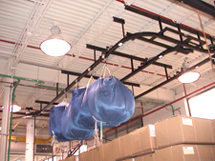 GMC slings are available in any size commensurate with the equipment with which they will be used or to conform with the space available. 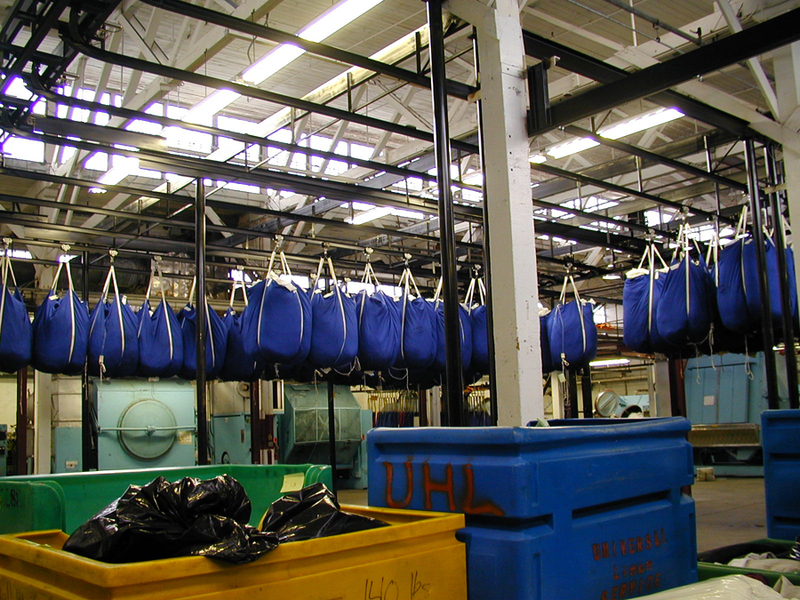 They are made of a warp knit virgin polyester, which equates to superior performance and longer service life. 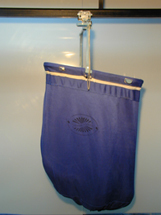 These slings have nylon cord closures. They can be made with one or two drop bottoms. 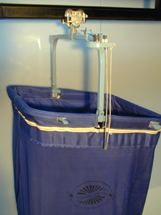 Every sling is custom designed for each customer’s application. 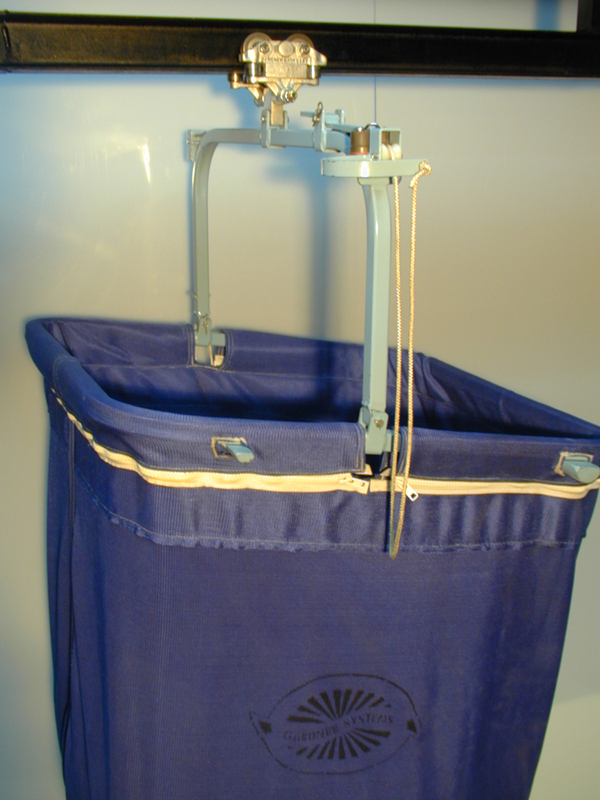 Slings have four (4) straps for attaching the sling to the trolley and four (4) “V” rings for attaching to the cart when loading. Automatic slings are fitted with a frame that allows opening and closing the sling without operator intervention. 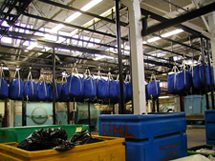 Slings that are automatically opened and closed are used in more fully automated systems.